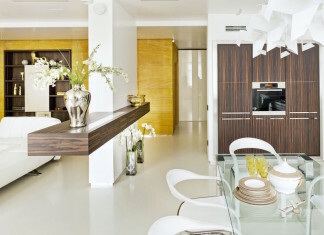 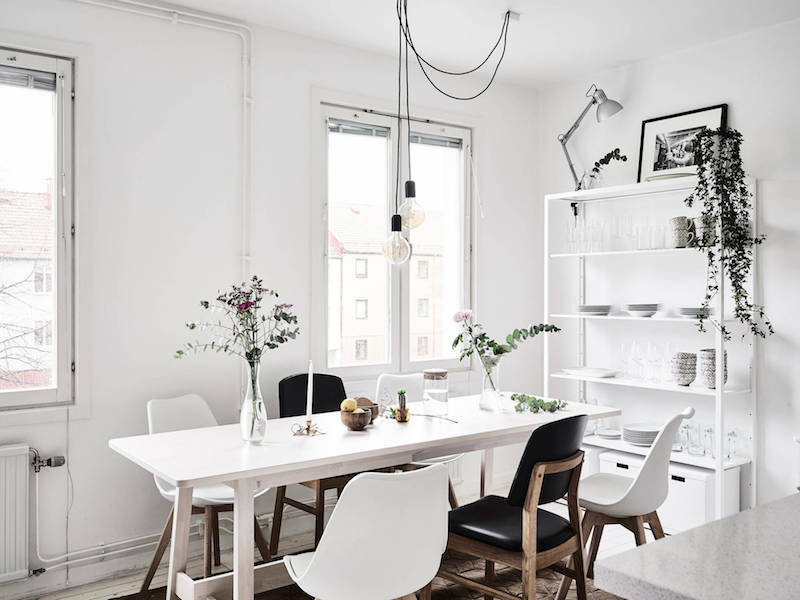 Based on a clean and easy-going scandinavian style interior design, this 73 sqm. 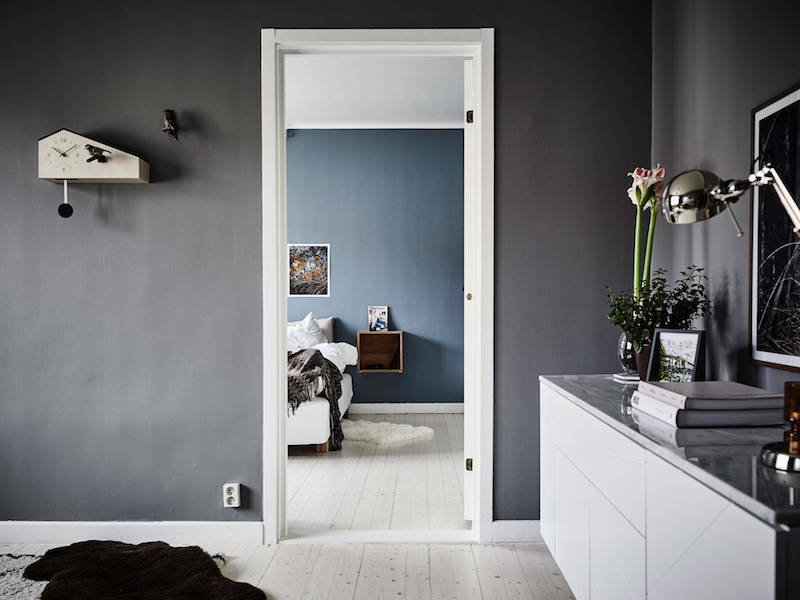 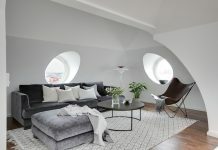 apartment in Gothenburg, Sweden, mixes nicely the lightness of white and dramatic shades of grey. 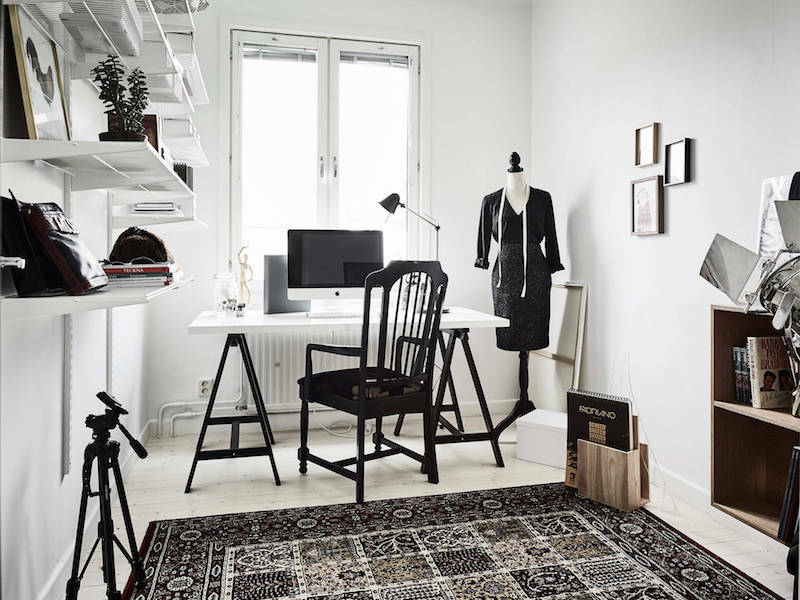 Open kitchen design fits the dining room into same space and next to the hall there’s a compact yet spacious study room for home office purposes. 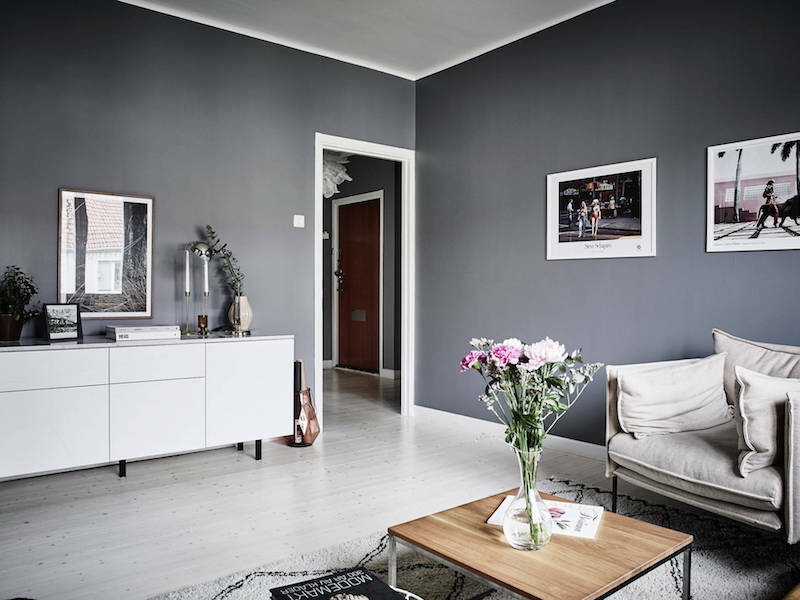 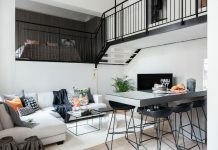 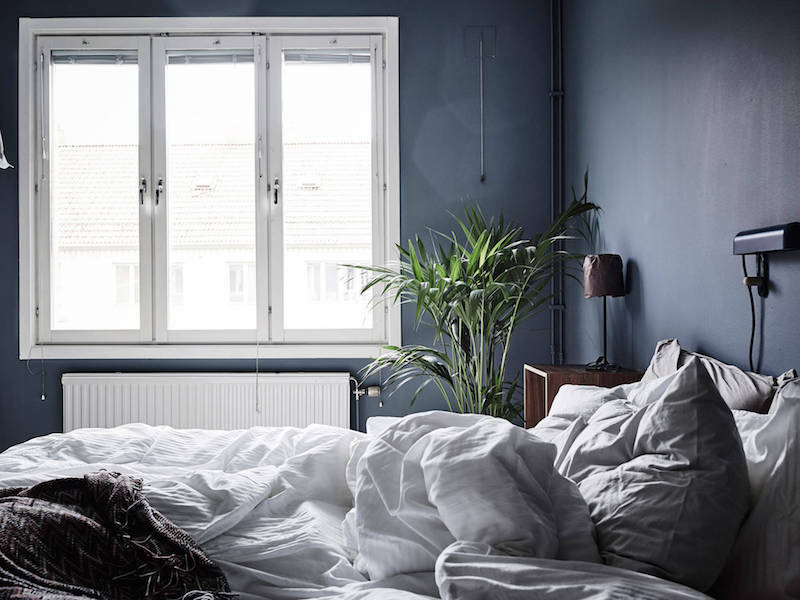 The interior design and decor in this apartment lines with the common scandinavian trends but also gives the rooms their individual atmosphere using colors on the walls. 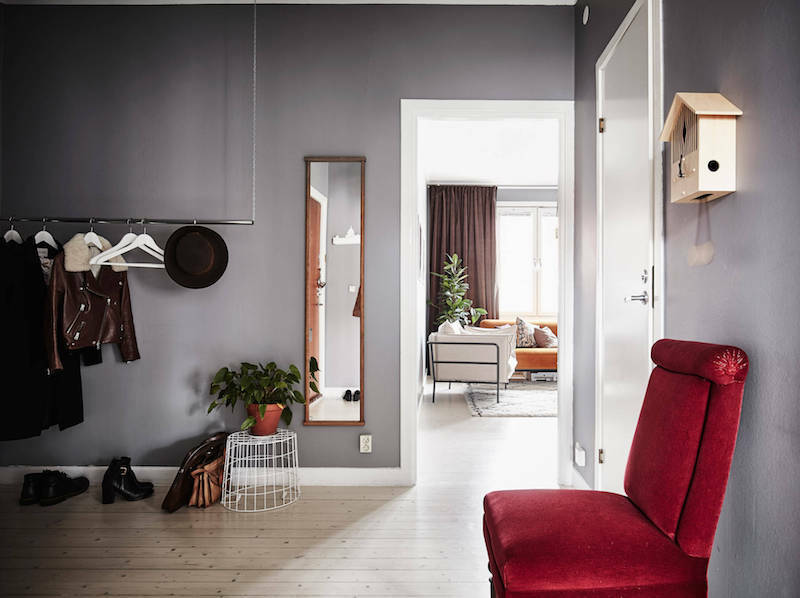 The apartment is listed at Stadshem. 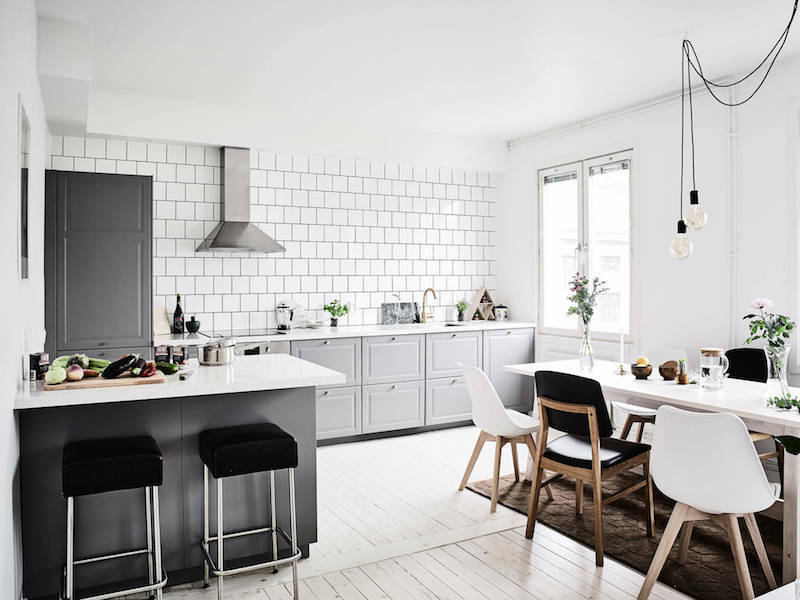 White is the main color in the kitchen. 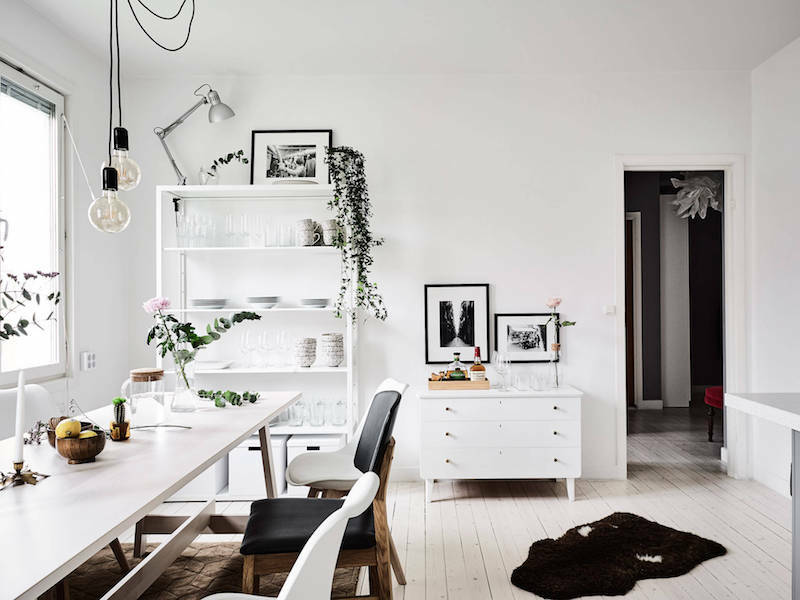 Wooden camping style dining table gives a nice aspect for the wood legged chairs, while the light floors join the white shelving element and cute drawer. 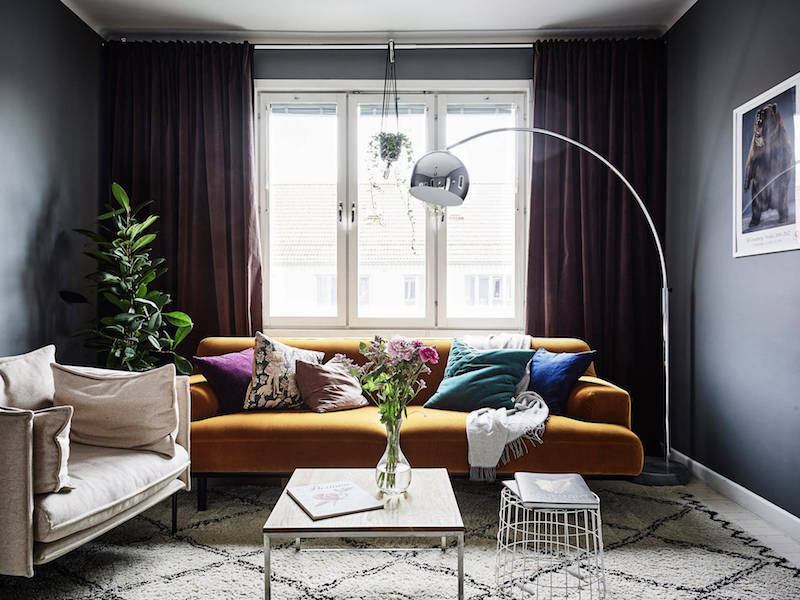 Vintage yellow works perfectly with the darker wall colors in the living room while the green plants give a nice natural addition. 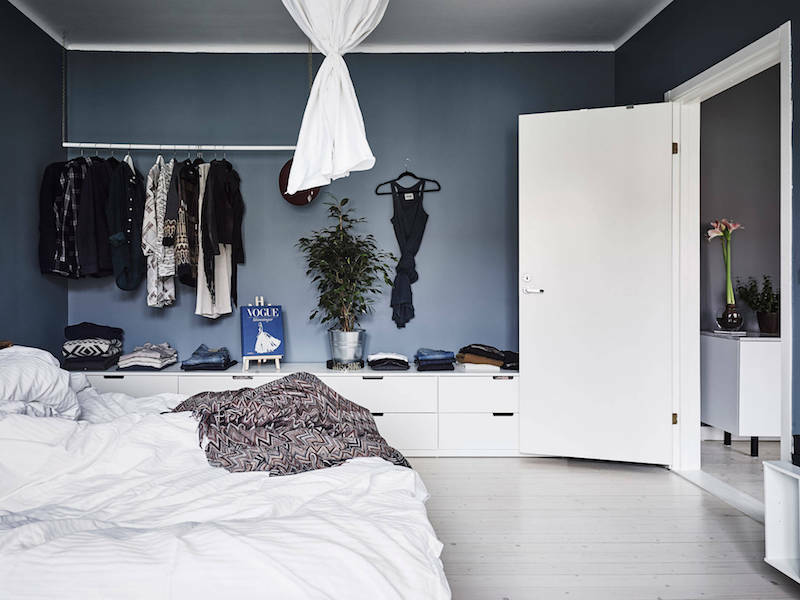 The laid back yet surprisingly practical clothes hanger makes your wardrobe content become part of the interior design. 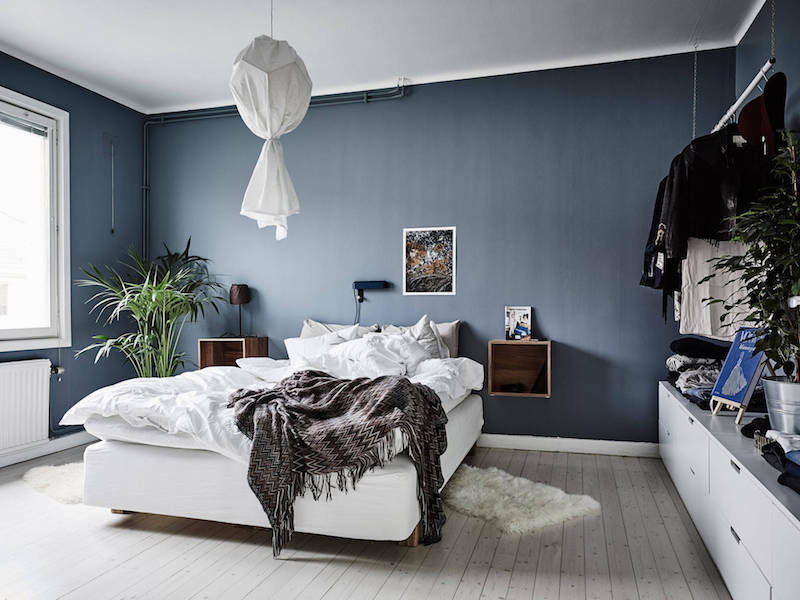 Wide low drawer element takes care of the small garments and keeps them in order.